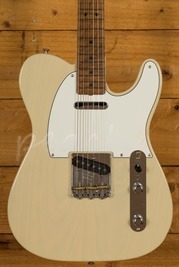 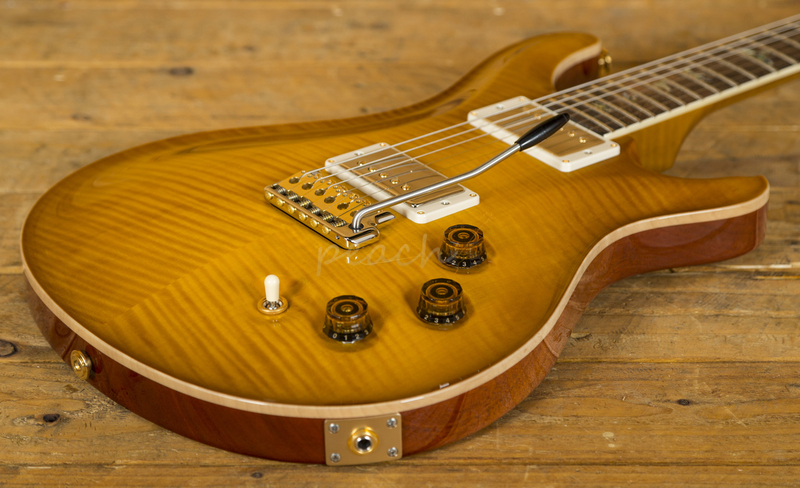 Every once in a while a guitar will come along that perfectly embraces modern design, playability and tone, the end result being a guitar that is perfect for home, stage and studio. 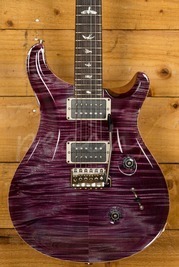 The PRS DGT is that guitar. 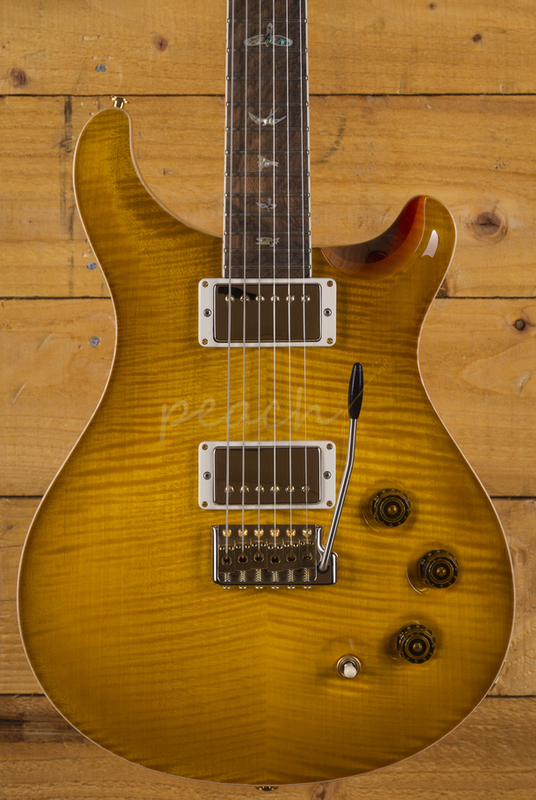 Super versatile and with numerous tonal possibilities, the PRS DGT is where old meets new. 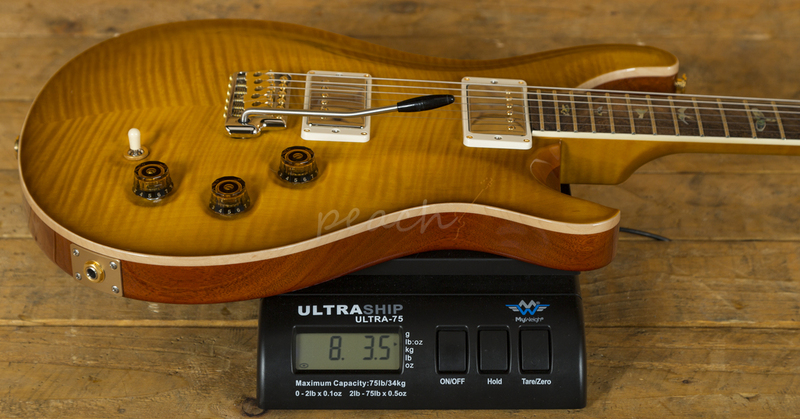 With a stunning carved figured Maple Wood Library 10-top and Mahogany back, it looks every bit as good as it sounds. 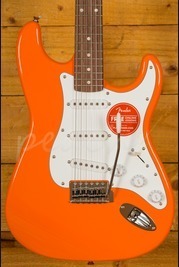 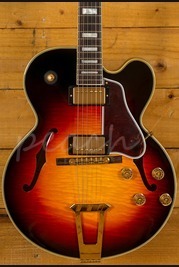 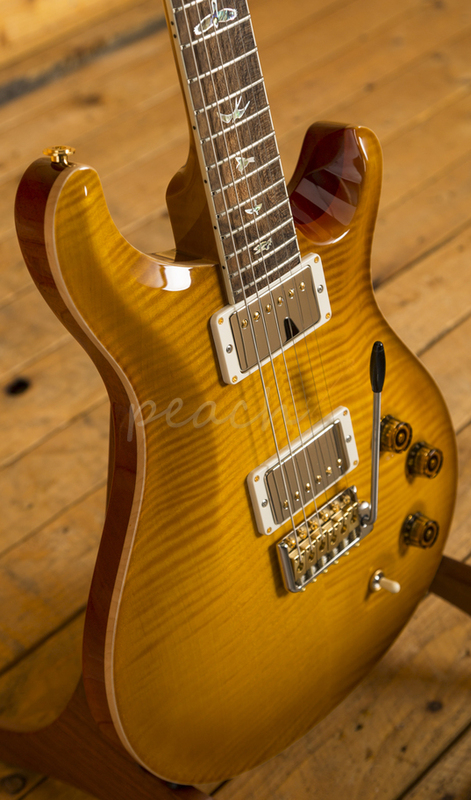 The McCarty Sunburst finish is stunning and perfectly complements the guitars premium aesthetic. 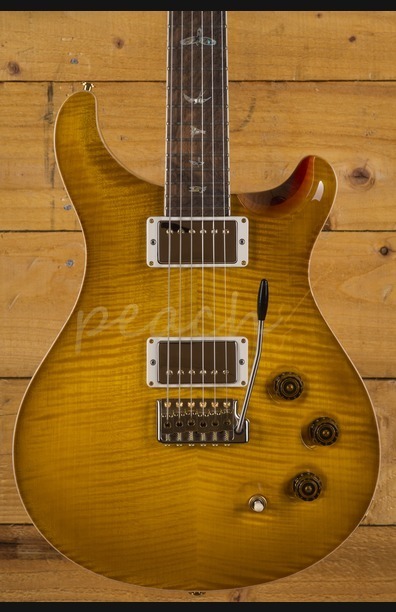 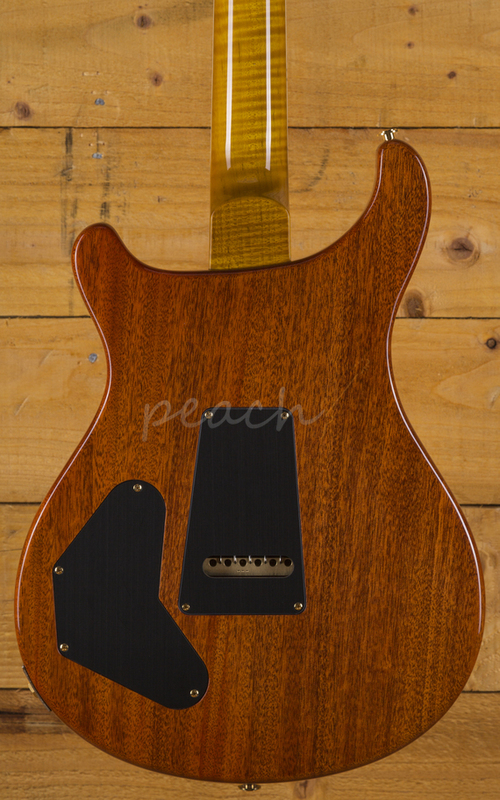 The PRS Wood Library is a select collection of woods kept back for special run models such as this, allowing customers to benefit from wood combinations and specs not normally found on other PRS production models. 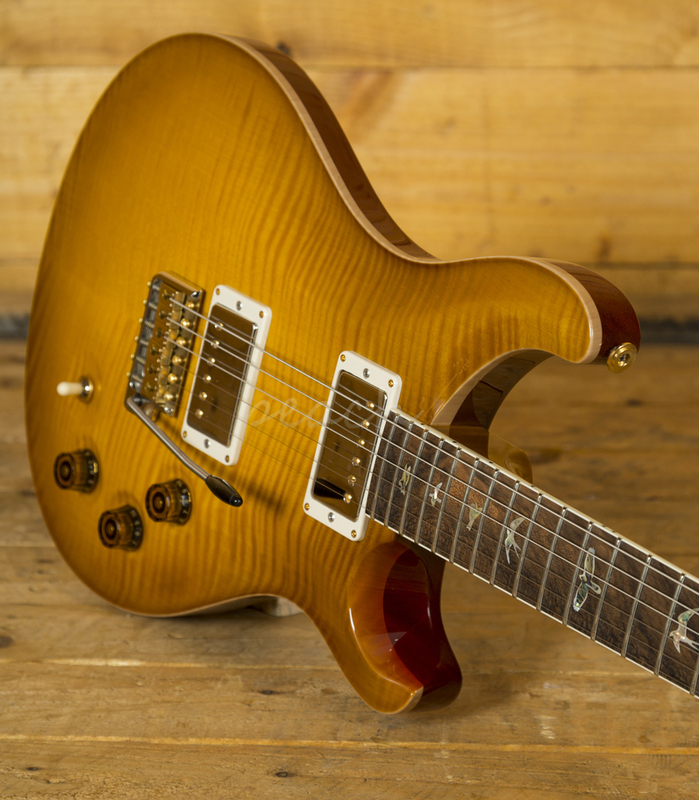 A 22 fret Flame Maple neck boasts a Ziricote fingerboard that proudly bears the classic bird inlays, and with its 25" scale length Mahogany neck it feels supremely comfortable. 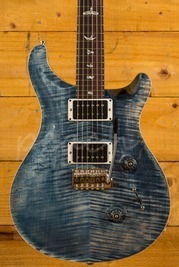 Comes complete with PRS hard case for the ultimate protection at home or on the road.